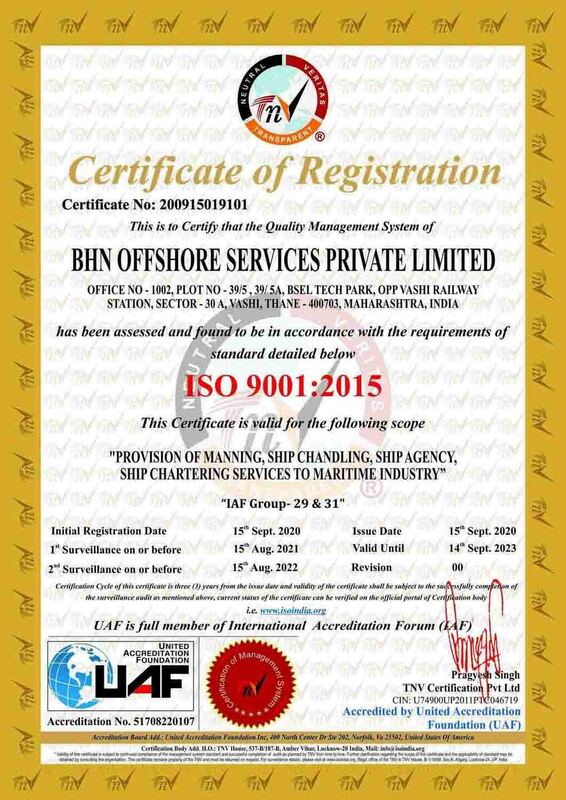 Welcome to BHN Offshore Services Pvt. Ltd.
BHN Group was founded in 1999 by Mr. Aamir Hashim, a Business graduate and Mr. Asif Alvi a Business Masters. a. BHN Offshore Services Pvt. Ltd. b. BHN Offshore Services. c. BHN Marine Resources Pvt. Ltd.
BHN Shipping India Pvt. Ltd.
BHN Management Consultancy Pvt. Ltd.
BHN Realty and Developers Pvt. Ltd. Copyright © 2018 bhnoffshore.com. All rights reserved.